Despite a controversial Apple ban on making charitable donations via Apps on the iPhone and iPad, Australian Not for Profit organisations are developing apps to educate and raise awareness, engage people with social causes and even deliver services. In December 2010, Apple announced it would ban charitable donations via iPhone applications (or ‘Apps’), which resulted in outrage from the Not for Profit sector. A petition calling on Apple to overturn its decision has so far gathered more than 41,000 signatures, but after a 12 months campaign Apple has not budged from its original position. Apple does not allow donations to be made through applications on the iPhone or iPad, instead directing users to an organisation's website to make a direct donation. One of Apple’s major objections is been that if donations were to go through its payment mechanism, it would have to be in the business of managing and distributing funds and verifying charities as well. Apple takes a 30 percent cut of purchases made from the Apple Store – including Apps by NFPs – however it would not be able to do this from 'in-App' donations. This is a significant fundraising barrier, however it doesn’t mean Apps can’t play an important role in educating and raising awareness, engaging people with social causes and even delivering services, as many Apps from Australian Not for Profits are showing. 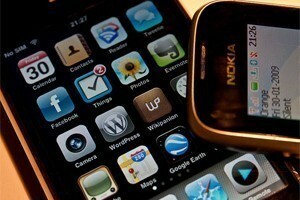 So how are Australian NFPs using Apps? Last month, Pro Bono Australia News reported that a brain health app designed by an Australian Not for Profit organisation became the number one app in the nation, racking up 41,000 downloads in just 48 hours. BrainyApp – the world’s first dementia risk reduction app – was designed by dementia support charity Alzheimer’s Australia and the Bupa Health Foundation. 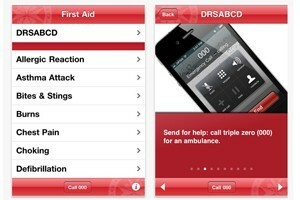 Above: Screenshots from the St John's Ambulance First Aid App. St John’s Ambulance have a First Aid App, which presents users with clear, easy to follow First Aid information with a clear image for each step. The App includes information on what to do when someone experiences allergic reaction, asthma attack, bites and stings, chest pain, shock and choking and many others. The App showed it value when comedian Jason Pestell came across an unconscious man on a street in the Melbourne suburb of Collingwood. When he realised the man wasn’t breathing, Pestell – who had previously completed a first aid course with St John’s – used the First Aid App on his phone to ensure he was going through the right steps. Jason managed to clear the man’s airway and get him breathing before the ambulance arrived and paramedics took over. “That was the first ever time I’ve given first aid, the first ever time I have called triple-o”. Australian organisation Life’s Little Treasures Foundation has developed an App for families of premature and sick babies. The ‘Premature Baby Journal’ App is designed to record information so that users can track their baby’s progress through hospital and beyond. The app contains many features making it easy to track a baby’s feeds, expressing times, weight gain as well as keeping a journal for all the milestones the baby achieves. Parool Shah, founding director of Life’s Little Treasures Foundation, says the app “was designed to help parents have an element of control over a very stressful time in their life”. “The Life’s Little Treasures Foundation believes that information, education and resources are key to empowering families and helping achieve the best outcome for premature babies,” said Shah. St John’s Ambulance – First Aid App – Presents step-by-step emergency First Aid information to the user with a large clear image for each step. Topics include allergic reaction, asthma attack, bites and stings, chest pain. Shock and choking. 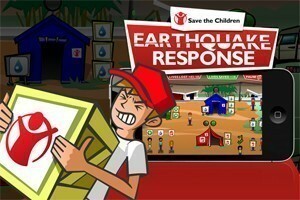 Save the Children’s Earthquake Response App – a disaster response game aimed at raising awareness of humanitarian disasters. The game emulates real world disasters – players identify needs, set up facilities, manage the logistics of the materials coming in, and allocate resources to best meet the needs, giving them a taste of the complexity of managing relief efforts. Make Poverty History – an iPhone App that allows people to show their support for the MPH cause by installing a white band wallpaper (the symbol of the international MPH campaign) on their device. App costs $0.99. Snooze App –The Snooze App, created by ‘open giving platform’ organisation LetGive – donates US$0.25 to a charity of the users choice in exchange for hitting the snooze button when the phone’s alarm goes off. City Harvest – Also created by LetGive, this app is a restaurant guide and booking portal with a difference – it shows restaurants that give excess food to hunger relief programs. Charity Navigator – an independent US charity evaluator – says it hopes to launch an App to allow users to check out charities from their phone, making it easy for people to research a charity before making a donation. Volunteering Qld has developed Ready Qld, an app to help Queensland communities prepare for disasters and emergencies. Very pleasing to read the above article! If charities are going to capitalise on the App market and speak directly to Gen Y consumers who are on their iPhone numerous hours of the day, they need to be easy to use and serve the major purposes of their organisation i.e. updates on news, events, social projects, how to donate etc. Dissapointed to learn Apple do not to allow 'In-App' donations. The public are much more likely to make donations if they can do it 'in-app' and under 2 minutes using CC or bank details. Tax receipts could be automatically sent out to donators with a well set up system, meaning all donation receipts would be easily found in one's email. Why don't Apple invest in a 'verification team' in each country to legitimise fundraising functionality and have a yearly check to make sure each charity/org is holding up their end of the bargain for the privilage? At YABI, we're planning to launch our iPhone App this first quarter of 2012, but fundraising functionality would make it a more more viable marketing channel for Gov't/Corporate sponsors to sign off on, when awareness and social engagement can often be hard to measure ROI on. We have successfully developed and launched a “giving” App for the iPhone/iPad.. See http://www.GiveEasy.org and also download it from the Apple Appstore. All charities welcome as partners. There is no upfront cost. GiveEasy is a ground-breaking mobile platform which facilitates charitable donations. Connecting Australians, including GenX/GenY, to government-registered charities and disaster appeals, GiveEasy’s technology enables individuals to express their humanity by donating at any time from their credit card or matched through their workplace. Scenario 1: Disaster flashes up on the television – flood, bushfire, earthquake – at home or abroad. I reach for my iPad/iPhone, launch G iveEasy, see the disaster listed as a major emergency and, with a few clicks, send a donation from my credit card. What a great feeling knowing the funds are already on their way to helping victims. A receipt emailed to me facilitates my tax return and all my donations are accessible via an on-line portal. Optionally, GiveEasy automatically notifies my Twitter and Facebook followers so they are encouraged to donate too. Scenario 2: It’s halftime at the cricket when the Smith Family Winter Appeal is announced, “Take out your mobile device and let’s all give right now”. As a body, thousands of people reach for their mobiles and easily donate, the funds seamlessly matched through their workplace-giving program. Everyone feels great. Receipts arrive by email immediately. The effect of Twitter and Facebook scales the donation pool exponentially. GiveEasy sustainably eliminates paperwork, postage, handling and time costs for charities and donors – the environmental benefit is as monumental as the philanthropic benefit. Charities and corporates alike tell us GiveEasy is game-changing. We have enthusiastic commitment from major charities including The Smith Family and United Way, and from workplace philanthropists at Investec, PwC and Optus. A pilot is now being launched at Freehills. GiveEasy has been funded to date as a not-for-profit social enterprise, and now merits scaling and Australia-wide adoption to realize its colossal potential.